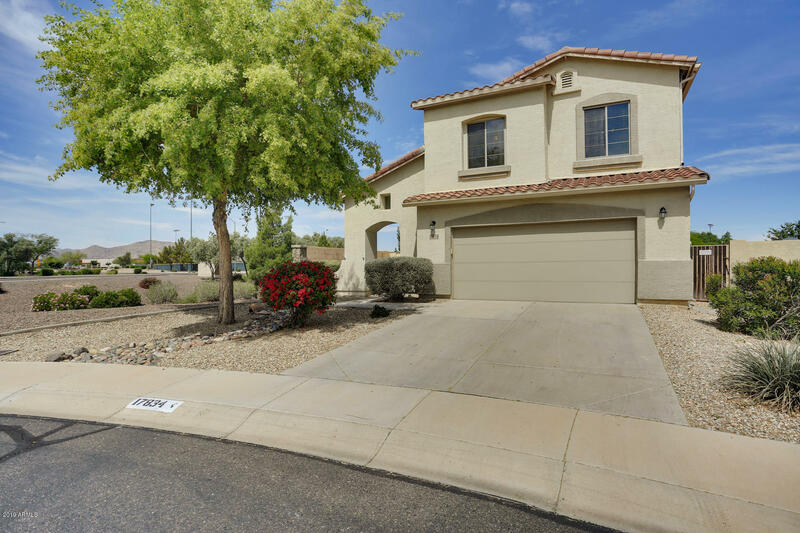 All SURPRISE FARMS PHASE 2 PA homes currently listed for sale in Surprise as of 04/23/2019 are shown below. You can change the search criteria at any time by pressing the 'Change Search' button below. 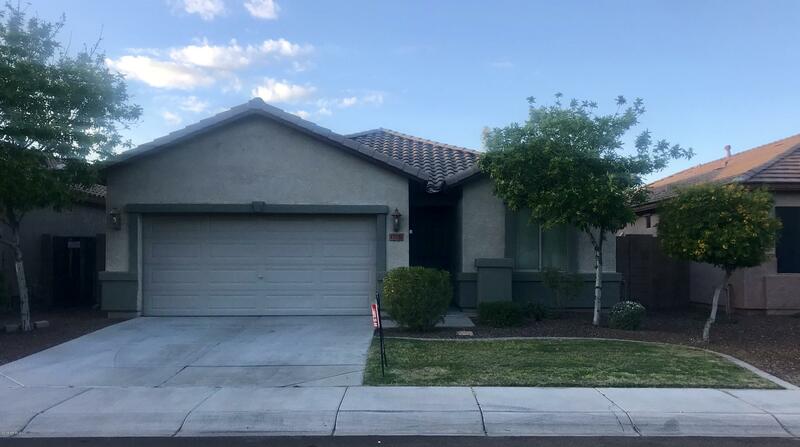 "Located on a cul de sac street this home has everything on your checklist including pre paid solar lease, private pool, close to greenspaces , not far from the dog park, children's play area, shopping, restaurants and services. 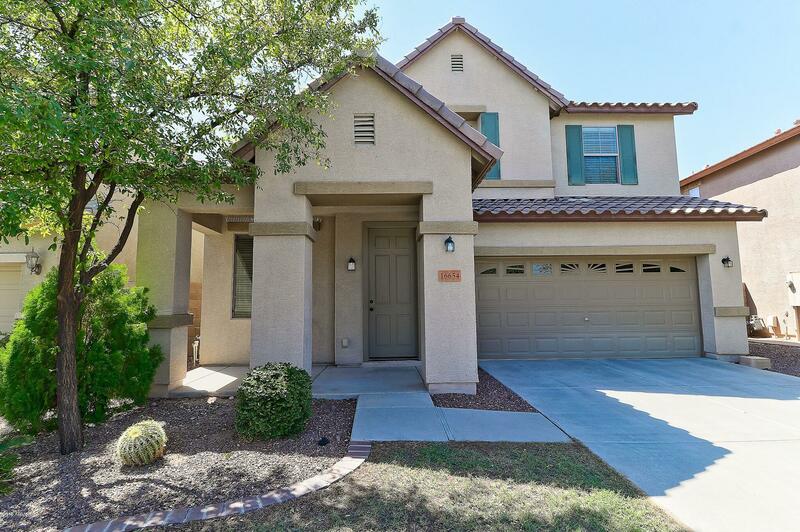 Newer exterior paint, stainless appliances, master suite bath has separate tub and shower, double vanity. Loft, tred lighting on the stairway, no neighbors on one side or back. 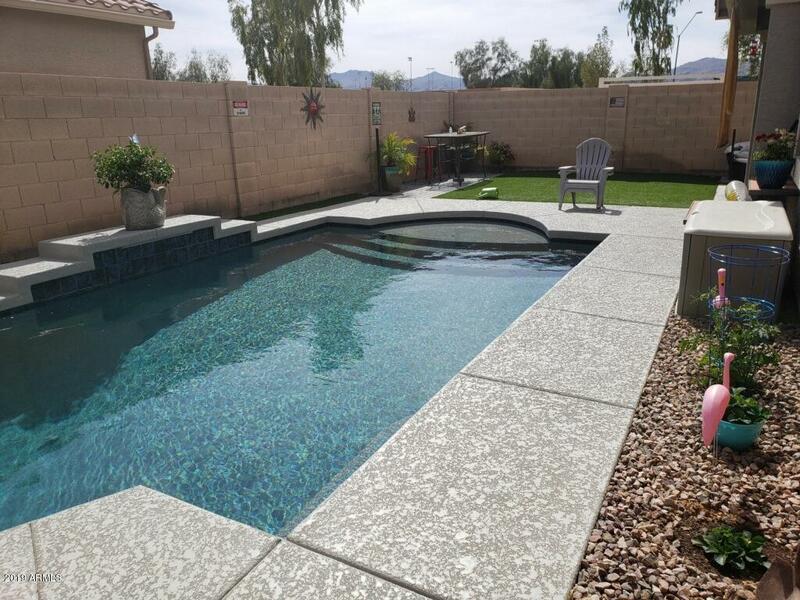 Resort style backyard, pool has fountains, there is a raised sitting deck, covered patio, "
"Great Family Home located in Surprise Farms. Enter the foyer which opens to a great room and large kitchen and dining area. Large split floor plan which includes 3 bedrooms, 2 bathrooms and den. 3 car garage with separate entrances. Single car garage has built in cabinets and work bench. Backyard is almost maintenance free with heated pool & spa." 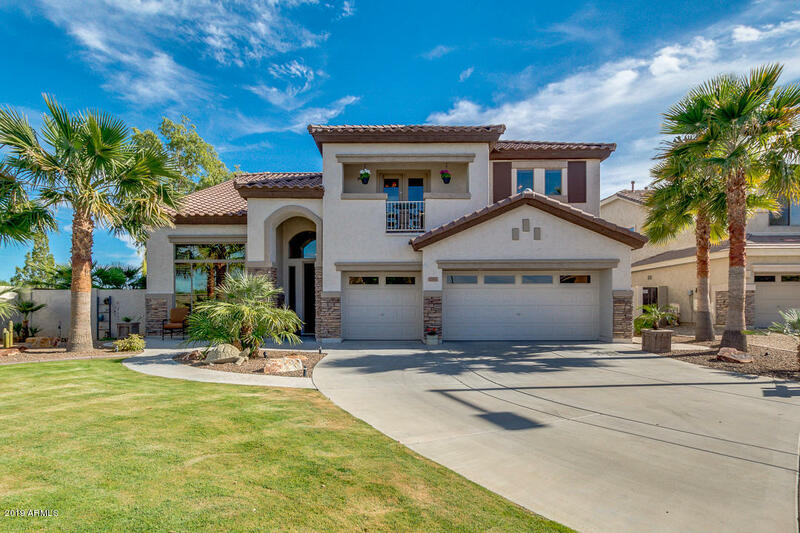 "Carve out an incredible life in this stunning single story home that is nestled in the amazing city of Surprise! 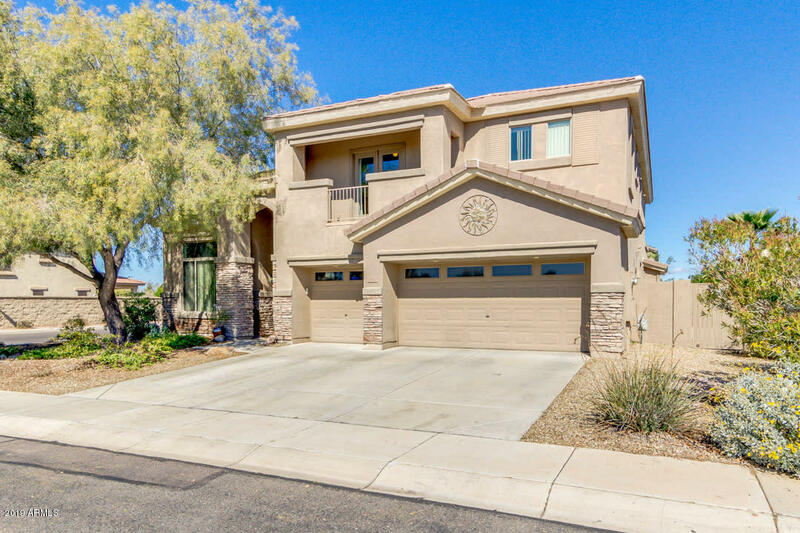 Upon entering this home, you are greeted with gorgeous tile flooring, soothing paint palettes and the open floor concept! The beautiful island kitchen showcases warm wood cabinetry, pantry, black appliances, plant shelving, breakfast bar and earth tone countertops. The spacious bedrooms offer plenty of room for sleep, study and storage. The master bathroom features dual sinks, garden "
"Welcome to this very well taken care of home! You will love the beautiful kitchen and island to gather around for family, friends and holidays! Entertain and BBQ with your loved ones by the pool and green grass! Nice tiles throughout and carpet in the bedrooms. Wonderful custom paint through out the house. Take off your shoes and stay :)"
"Private pool. Great Floor plan with 2 master suites. 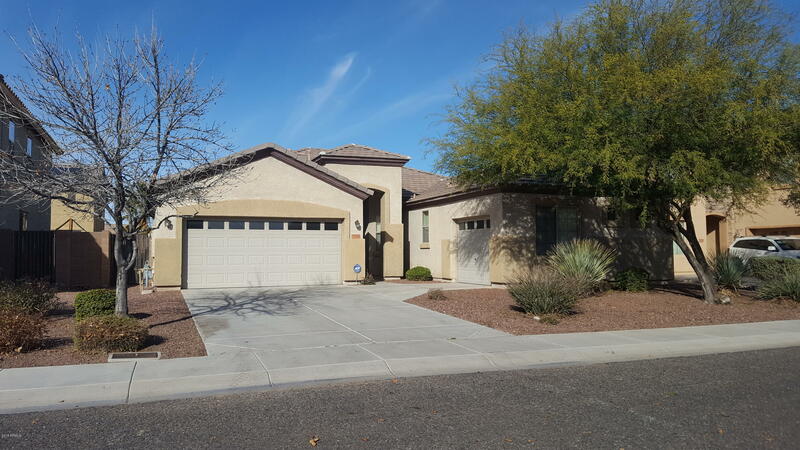 4bedroom/3bath with an extra room to use as an office or play room. 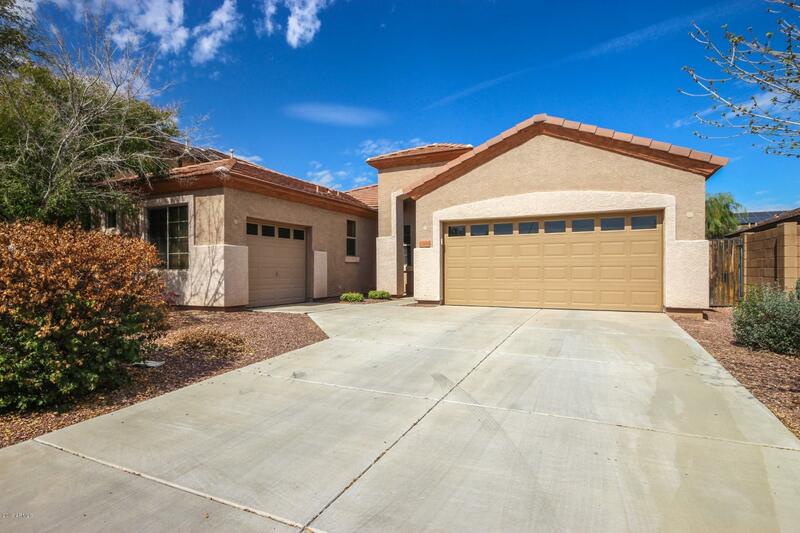 Close to schools, shopping and the 303 loop." "The subject property is occupied by Tenant with Tenants rights. Lease information available upon request. Photographs were taken prior to tenants occupancy."